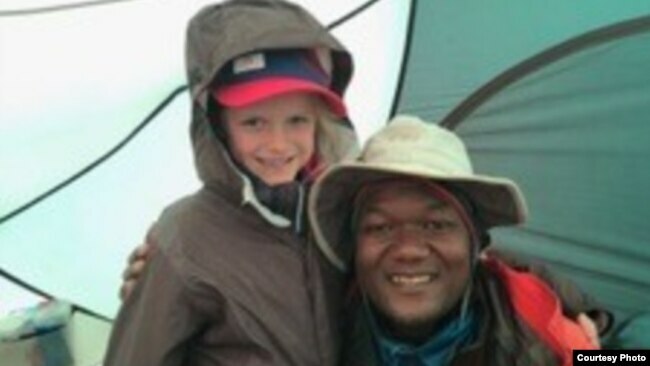 Seven-year-old Montannah Kenney has become the youngest girl to climb Mt. Kilimanjaro in Tanzania. 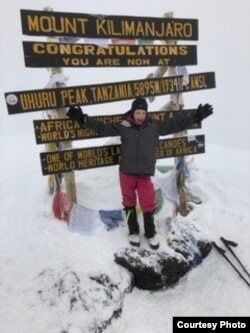 Climbing Kilimanjaro, the highest peak in Africa at 5,895 meters, was Montannah’s project during a school break last March. 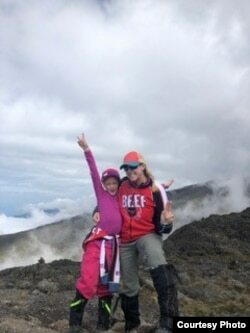 The adventure presented her with an opportunity to discover her potential strengths and learn about hiking and foreign cultures. The Texas native accompanied her mother, Hollie Kenney. Montannah also wanted to set a new world record and, more importantly to her, pay tribute to her father who passed away when she was 3 years old. “I knew that heaven was not that farther up from Mt. Kilimanjaro. So, I wanted to do it,” she said. It took six days to reach the peak. Montannah, who is a triathlete, and her mother, who is an endurance athlete, trained for the adventure. Getting ready for the trip meant packing appropriate clothing and researching the mountain and the land — Tanzania. But when the trip started, they had to face the real challenges. For Kenney, one was the fear of Montannah getting altitude sickness. That’s a combination of symptoms ranging from a headache, dizziness, and nausea to loss of energy and shortness of breath. It’s triggered by the decrease of oxygen, due to the drop in pressure at high altitudes. The most challenging part of the trip came on the night they were preparing to reach the summit with their guide. Kenney was deeply touched to watch what Montannah did when she reached the peak. “To see Montannah blow kisses to her Daddy, to know that she was as close as she possibly could be to him in heaven, that was very meaningful for a mom to see,” Kenney said. At that point, Montannah was extremely tired but thrilled about her achievement. In addition to the accomplishment of reaching the top of Kilimanjaro and setting a world record, the trip was an introduction to new cultures. Many people; including tourists are attracted by the white covered Kibo Peak of Africa’s highest mountain and have been seen coming to take pictures from different possible corners. “The rains that occurred from January to May brought an accumulation of snow on the Kibo Peak. The observed snow plays a key role in protecting glacier from melting,” One Climber says that besides further compaction and hardening of snow on the mountain’s summit, it has ended the wet season and maintained glacier and snowflakes at the Kibo peak. The Chief Warden hinted that it is expected that in the months ahead, the dry season would crop in and melt the sleet and expose glacier ice. On the tourism front, A climber pointed out that snow and glacier ice remains potential tourists’ attraction sites, especially at the Kibo Peak on the mountain. However, she cautioned the Mountain climbers to be vigilant while ascending or descending to avoid dangers which may emanate from slippery slopes.